Taken together, our results reveal that a state can significantly affect market outcomes when defining its coverage regions. While the political debate about the Affordable Care Act (ACA) rages on, new data show that almost nine million people acquired health insurance in 2014, its inaugural year. 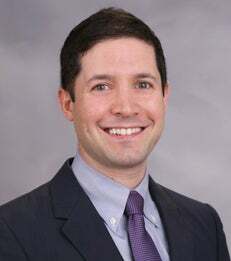 A recent analysis by NYU Stern Assistant Economics Professor Michael Dickstein augments a growing database of information about what works and what doesn’t work in how the Act has played out in various state markets across the US. In “The Impact of Market Size and Composition on Health Insurance Premiums: Evidence from the First Year of the Affordable Care Act,” Professor Dickstein and co-authors Mark Duggan, Joe Orsini and Pietro Tebaldi, investigate whether the definition of a coverage region – which the Act left up to the states – affected market outcomes. The authors analyzed data about registration for the ACA’s second-lowest-priced “silver” plan, collected from 2,388 counties divided unevenly into 398 regions in 33 states. What they found was a mixed bag. While on average the number of insurers increased and premiums declined as coverage regions increased in size, there was substantial variation, as well as a tradeoff as coverage regions expanded. Smaller, more rural counties that were bundled with urban areas tended to enjoy both a larger selection of insurers and lower premiums, although that advantage disappeared when coverage regions grew too large and heterogeneous. “For the same population level, regions that have pockets of extremely high and low urbanity appear relatively unattractive markets for private insurers to enter, possibly due to greater costs needed to serve such markets,” says Professor Dickstein. Policymakers seeking to improve outcomes in small rural markets, the authors suggest, could consider designing coverage regions that increase financial incentives for insurers – for instance, bundling a rural area with a city. While that may impose a cost on urban residents, rural residents could benefit significantly. “Taken together, our results reveal that a state can significantly affect market outcomes when defining its coverage regions,” the authors conclude. Michael Dickstein is an Assistant Professor of Economics.